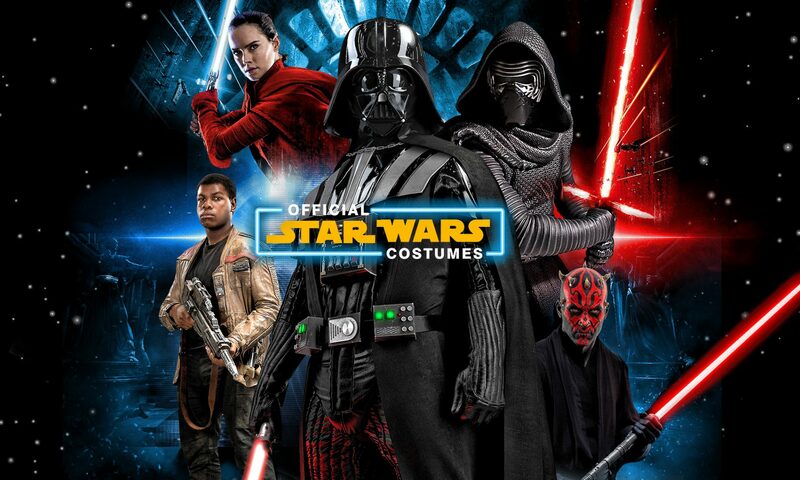 April fifth marks the day Star Wars: The Force Awakens is available on DVD and Blu-ray. Amazon is already accepting pre-orders, and the Blu-ray edition comes with three discs, hopefully thronged with special features. We don’t know all of them — and it’s unlikely this first version will contain Lord of the Rings-level special features — but of those already announced, the most interesting proves to be a recording of the first table read for the movie. A short teaser released on March 11th has a clip of the original table talk, which was recorded in full. In the teaser, Director J.J. Abrams says: “This was going to be the first gathering of this original cast, new cast, this core group of people that were going to be part of making this movie. We wanted to document it, but the most important thing was to hear it. Just as a fan of ‘Star Wars,’ to see them all together was an incredible thrill.” This feature is sure to interest anyone who wants to know more about Star Wars, or the film-making process in general. Hopefully we’ll get to see the entire length of the movie read by the actors, but such a wish may be infeasible. Also already announced are DVD and blu-ray special feature classics like deleted scenes and a making-of feature called “Secrets of ‘The Force Awakens’: A Cinematic Journey,” which debuts this year at SXSW. Hopefully we will also get an audio commentary, but so far no extended version has been promised (We may be forced to wait for the Super Deluxe Cool Ranch 4D Edition — now available in an air-based scent). If we’re really lucky, we may even get a blooper reel! Who knows? Thanks for reading! Hopefully we’ll get enough special features to sate our hunger. Come back next week for more fun fan information! It’s time for the fourth annual This is Madness Star Wars Character Tournament! Once again, from the official Star Wars website, fill out your voting bracket and compete for prizes! Hasbro, SMS Audio, Walt Disney Studios Home Entertainment, and Diamond Select Toys offer prizes for the top five brackets, enter by March 14th at 9:59 A.M. PST for your chance. Each day afterwards, voting will be done on another match-up. With the addition of characters from Episode VII, the contest has become even more tense. Gone are the years when unknown (or little-liked) characters like Wicket, Hondo Ohnaka, or Bossk are eliminated in the first round of voting by favorites like perennial semi-finalist Boba Fett or Chewbacca. Now, newcomers Finn, Rey, Poe Dameron, Kylo Ren, Captain Phasma, and General Hux have their first chance at the big prize. In the past three years, Yoda, Obi-Wan Kenobi, and Darth Vader have all won, with Darth Vader being a finalist every year. Will he take the spot once more? Will Boba Fett finally have his day after losing to Vader three years running? Or will a newcomer sweep it? In the first round of the light side match-ups, new hero Finn goes up against first-year champ Yoda, and new heroes Rey and Ezra Bridger face off in preparation for a match against either classic heroine Leia or newcomer pilot Poe Dameron. On the Dark side, powerhouse Vader goes against Fifth Brother from Star Wars Rebels, Kylo Ren toes up against armored bounty hunter Jango Fett, and the winner of that match has the chance to face Captain Phasma (or Count Dooku). The final new dark side entry, General Hux, is up against Boba Fett, who has only ever lost to Darth Vader, and only ever in the final match to decide the dark side contender in the final. Voting beings on March 14th! Help your favorite character win it all, and perhaps snag cool prizes in the meantime! Thanks for reading, be sure to come back next week for more fun fan information! John Boyega (Finn), when he heard he’d been given the lead role, dropped out of a Jessie Owns Biopic (Race), and was replaced by Stephan James, who also appeared in Selma. Race comes out February 19th, 2016. Carrie Fisher and Mark Hamill both received personal trainers and nutritionists to help them get in shape for their respective roles, and after announcing his role in Episode VII, actor Adam Driver (Kylo Ren) had to work around his shooting schedule for HBO’s comedy-drama series Girls. Lupita Nyong’o has said she wanted to play a role where her distinctive appearance wasn’t important, and she got it in centuries-old space pirate Maz Kanata. Anthony Daniels, the man behind the C-3PO mask, was originally going to be contributing only his voice, until Abrams and/or Daniels himself (sources are split) decided to make it an acting role as well. Egregiously tall Peter Mayhew again played Chewbacca, but due to Mayhew’s age and knee problems was replaced with Joonas Suotamo (6’ 10” Finnish basketball player and actor) during action sequences. We’re sure there are plenty more stories from every actor and actress that will be revealed with time, but this is what we know already. Thanks for reading! If you’re looking for more fun fan Star Wars information, be sure to check back next week! We saw lots of characters we know and love in Star Wars Episode VII: Luke, Han, and Leia, C-3PO and R2-D2, and Chewie, but one of the loveable things about the Star Wars movies is the wide cast of character we know and love. The characters from the original trilogy are some of the most beloved for fans, and there are plenty missing from the Force Awakens. The most glaring is Lando Calrissian. The gloriously mustachioed part-smuggler, part-gambler, and part-legitimate businessman was an established member of the rebel alliance by the end of Return of the Jedi, both helping break Han free of Jabba’s palace as well as pilot the Millennium Falcon during the final battle. Why doesn’t he show up during Episode VII? It could be the character will show up in the next movie (in a fun mirror of the original series), or it could be for a reason related to a real-world issue such as money. There are plenty more. Hardly anyone imagined Boba Fett actually met his end in the Sarlacc, and though many would have liked to see him, not many expected it. Denis Lawson, the actor known for playing Wedge Antilles during (most of) the original series, turned down an offer to reprise the roll, stating he would be bored by what they were likely to offer him. Even Mon Mothma, a Rebel leader and likely Republic politician, doesn’t receive so much as a name drop during The Force Awaken’s 140-minute run time. Then again, one of the legitimate criticisms of the prequels is the flagrant and unnecessary shoe-horning of characters viewers recognize from the original trilogy, so perhaps it’s to the movie’s favor they don’t try to put every single recognizable face in front of us. Thanks for reading! Come back next week for more fun fan information about your favorite series. Once again, the forces of the Sith have arranged themselves behind immense power. The Starkiller Base – contained within an entire unnamed planet – was the pinnacle of destructive technology, able to obliterate entire star systems. The destruction of this weapon was the goal of the Resistance in The Force Awakens, and they succeeded after paying a terrible price. Want to know how it works? Using a method of cutting off sunlight from the surface of the planet, a star’s energy would be drained into the core of Starkiller base, and then move on to another using thrusters built into the planet’s crust. The energy within is referred to as “quintessence,” a form of dark energy present throughout the galaxy. The energy would be held in place both by the planet’s magnetic field, as well as an artificial containment field the First Order had installed. A thermal oscillator (which was the target of the sabotage by Finn, Han, and Chewie) worked to contain the quintessence using much less than a stable field would. A vast cylinder, large enough to draw the eye when viewing the planet from orbit, sank to where the energy was stored in order to direct the energy toward a target. The cylinder also absorbed the shock of the weapon’s firing. It is in this way the weapon was most vulnerable right before firing – should the thermal oscillator be destroyed, the energy would quickly destroy the planet, as we saw in Episode VII. When firing, a small breach would be made in the containment field, leading to the cylinder. The quintessence transformed into “phantom energy,” able to travel through sub-hyperspace. This made travel to Starkiller Base’s target near instantaneous until it reach a large enough solid mass. When struck, the phantom energy produced enough heat to detonate the planet’s core. The space-time distortion the phantom energy traveling at such speeds made it possible to see the destruction simultaneously thousands of light-years away. Starkiller Base was protected by shields able to stop bombardment and enemy infiltrators, but critical gaps in the shield’s refresh allowed the Millennium Falcon to land during the third act of Episode VII. Thanks for reading! We hope you enjoyed this breakdown of another destructive force in the galaxy! Come back next week for more fun fan information. In the original Star Wars movie, we’re introduced to a number of things about the Star Wars galaxy. One of the things we see are the famous Stormtroopers, with their shiny white armor, leering masks, and . . . highly trained aiming skills. Yes, you read it correctly — the Stormtroopers are great at hitting the targets they want to. “But!” you say, “in the original trilogy, the Stormtroopers couldn’t hit anything!” Are you sure? This is me asking you, are you sure. “Yeah I’m sure. Everybody knows that.” Well, you’re wrong. Let’s think about it. In the very first movie, the Stormtroopers are hilariously unable to hit anything smaller than the broad side of a Death Star. Their shots are wildly off-target, but only when the Rebels are actually inside the Death Star. You remember when the Rebels enter the Death Star, Darth Vader and Grand Moff Tarkin quickly figure out their plan, and plant a tracking device in the Millennium Falcon. Then, they allow them to escape with Princess Leia and follow them in the Death Star to the Rebel base, with aims to blow it the Force up. The Stormtroopers had orders not to kill Luke Han, Chewie, or Leia, because then their plan would be worthless. In the Empire Strikes back, Stormtroopers (or, more specifically, Snowtroopers) are present in only one scene, the attack on Hoth’s Echo Base. They, and their AT-ATs, wreak havoc on the Rebels, nearly bringing the base down around their ears. In Return of the Jedi, the Stormtroopers are still under orders not to kill Luke, since Darth Vader looks to convert him to the Dark Side. During the battle on Endor, Ewoks and Rebels fall like flies, Leia takes a shot in the arm, and the rebels are in the process of surrendering before Chewie stomps in with an AT-ST. The Stormtroopers can, and will, hit their targets when they want to. The Emperor demands nothing less! Thanks for reading! We hope you enjoyed it. Come back next week for more fun fan information. Often, in a piece of art such as movies, television, or literature, a character with a smaller role becomes a beloved and continually-discussed part of the work. A classic example of this phenomenon is Boba Fett who, despite having only a half-dozen lines over two movies, as well as doing little more than getting knocked into a death hole, became one of the most popular characters in Star Wars. TR-8R, named for his single line (“Traitor!”) in The Force Awakens, is another. The character’s actual call-sign, as told us in the novel Before the Awakening, released in 2015 and written by Greg Rucka, is FN-2199, one of the four Stormtroopers in Finn’s original squad (Finn was known as FN-2187). FN-2199/TR-8R’s only scene in the movie also contains his only line. If you’ve seen the movie, you remember it. In it, TR-8R calls Finn a traitor, whips out his magic lightning mace (called a Z6 Riot Control Baton) and delivers an astounding beat down on his old squad member before Han pegs him with a Wookiee bowcaster shot. There are hundreds of images for you to peruse if you want. See TR-8R as part of the Last Supper, looking at Finn with a distrustful eye! Watch as Yugi Muto assembles the pieces of the Legendary TR-8R to obliterate Seto Kaiba! Enjoy as TR-8R plays Guess Who with a little girl, and guess correctly that the girl’s chosen person looks like a traitor! Professor X is up to a new experiment, and the result is TR-8R! Will this sudden character’s popularity continue? Will he appear in Episode VIII? It remains to be seen, though it’s unlikely his role will grow beyond anything other than a shout-out, but we’ll see. Thanks for reading! Come back next week for more fun fan Star Wars information! With a domestic box office total of almost 816 million dollars, plus the same and more overseas, it’s safe to say The Force Awakens is a box office hit. It’s been earning what experts are calling a “Jabba-load of money.” As of January seventh, it’s the highest-grossing domestic release of all time — eclipsing both James Cameron’s Avatar, and … James Cameron’s Titanic. Of course, those numbers are before being adjusted for inflation. After, however, The Force Awakens falls all the way to fifteenth! Avatar, the only movie higher on the list released in the new millennium, is fourteeth. The first Star Wars movie is second, with over 1.5 billion adjusted. Number one? Gone with the Wind, at 1.739 billion. In the foreign market, The Force Awakens is all the way down at sixth … behind Avatar, Titanic, Furious 7 (of all things), Jurassic World, and Harry Potter and the Deathly Hallows Part 2. These are good numbers! We’re happy, the actors are happy, Abrams are happy, and Buena Vista is happy. They aren’t breaking records, save the domestic gross, but guess what? All of these multiple-million dollar numbers are after only three and a half weeks! Gone with the Wind has had what … eighty years to earn all that money? Avatar was in theaters for about thirty-four weeks — how long will The Force Awakens be in theaters? It opened in China only a week ago, and has already grossed more than sixty-five million dollars! The point of all this is yes — it’s clear The Force Awakens is headed for box office glory, but it won’t be an easy road. The top five movies on the adjusted for inflation list (Gone with the Wind, Star Wars IV, The Sound of Music, E.T. The Extra-Terrestrial, and Titanic) all have huge numbers thanks to inflation. Dethroning one of them — not even Avatar could manage it — could prove to be impossible. But perhaps it will happen some day. For now, thanks for reading! Come back next week for more fun fan Star Wars information. Now you and I – respected astrophysicists, I’m sure – know that a parsec is a measure of distance (the distance at which one astronomical unit subtends an angle of one arcsecond: 3.26 light-years, 31 trillion kilometers, or 19 trillion miles). A parsec is a unit of distance, not time. It’s impossible to take a path, especially an established route, with a varying distance. It comes to light through additional material (such as the book Ultimate Star Wars), the Kessel Run skirts the edge of a black hole’s accretion disk – the closer a pilot dares to get to the inescapable gravity, the quicker they can make the run. Another theory says, because the spice used as cargo is illegal, the pilots must drop in and out of hyperspace to turn, make deliveries, etc. Stopping and starting at the right places cuts the distance traveled. This is one of two general theories about the line; there is in fact a variance of the route based on the pilot’s skill. The other theory is George Lucas and Star Wars did know the line is wrong. One of two versions persists in this vein: One of them is Han Solo used the line to see how savvy Luke and Obi-wan were – Luke is taken by the line but Obi-Wan isn’t fooled. The other thought is Han doesn’t know as much as he thinks he does – he says the line because it sounds cool, Luke buys it because he doesn’t know either, and Obi-Wan shakes his head in exasperation. Could this explain away a problem many have pointed out with A New Hope? Perhaps. It might also be retroactive patching of a stupid problem Lucas should have noticed. We hope you enjoyed this short “explanation” of a classic confusing line, and we hope you come back next week for more! The Star Wars blog is taking a short break for the Holidays, but we’ll be back on Friday the eighth of January, ready for incredible articles and blog posts about Star Wars Episode VII, but for now, we want everyone to celebrate the Holidays and New Years with their loved ones. Have a great rest of 2015!